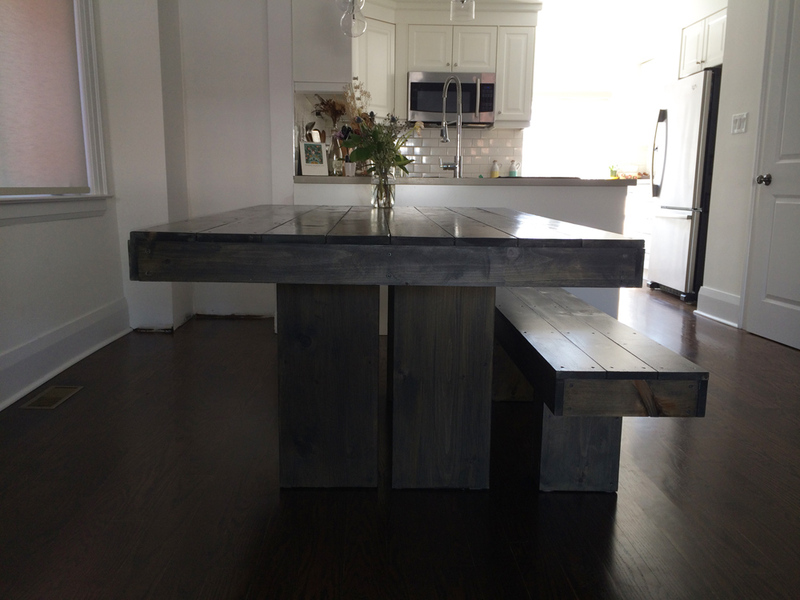 This beautiful table was inspired by another E&S Creation. The owners took a rustic outdoor patio table and requested it be created to fit their indoor space. 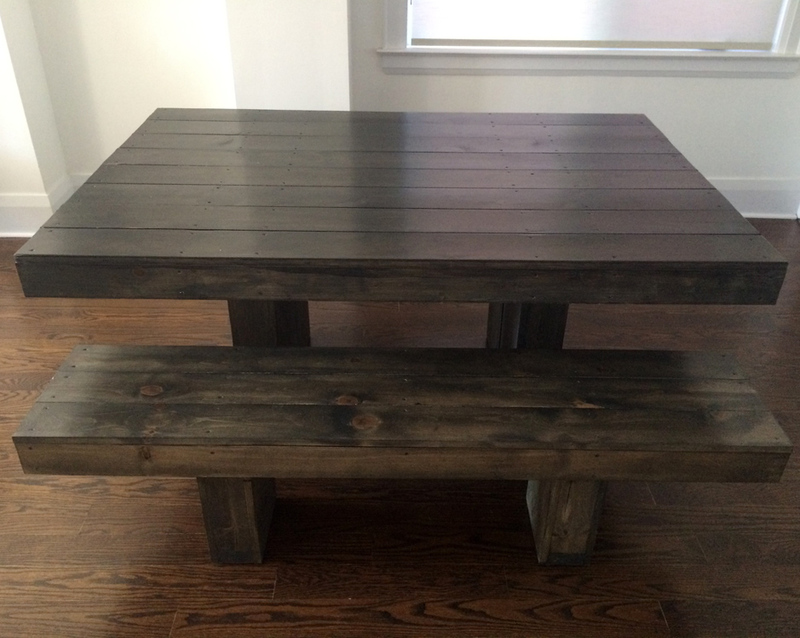 Large block legs both on the table and bench give this table a one of a kind look. The owners say: "The comments never stop, people just love this design."